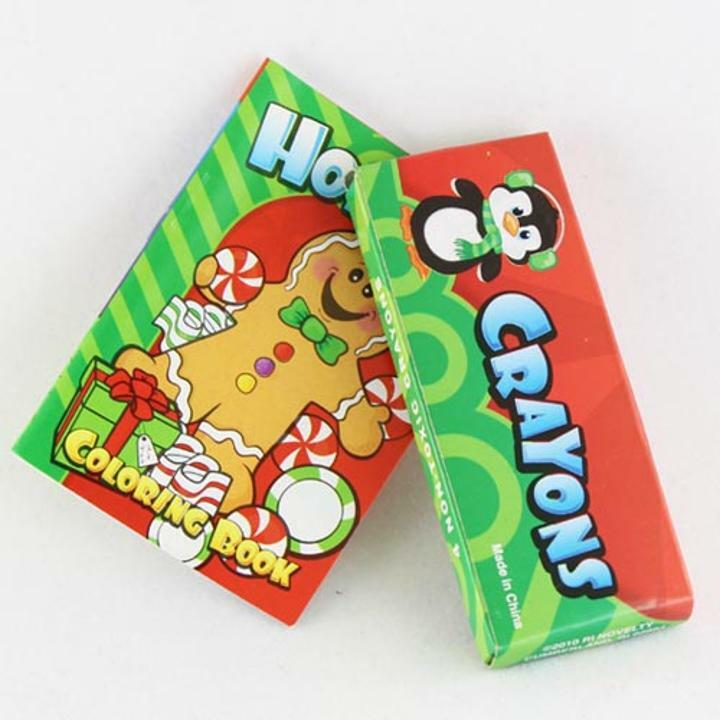 Each pack contains a box with four non-toxic crayons (red, yellow, green, blue) and a miniature coloring book. This item is a closeout and may be received with promotional printing. Crayon packages have never been used and are in great condition.